Tea TV for Firestick download and instructions on how to install Tea Tv on Amazon Fire Stick TV. Movies and television shows have become one of the most common form of entertainment. The vast content attracts everybody but there is a lack of such apps and websites which offer users to stream and download movies online. Most of the applications that exist have limited content or charge high rates to access the large volume of content. If you are someone who is looking forward to enjoy a wide range of movies and Tv shows then Tea Tv app has been developed for you. The application has a large collection of movies and television shows from different countries with the option of streaming them in high quality. Besides downloading Teatv app for Android and iOS, you can also download Tea Tv for Firestick which is a popularly used casting device. Tea Tv for Firestick is especially fo those users who like to watch movies and television shows on a bigger screen like television instead of watching it on a mobile phone. 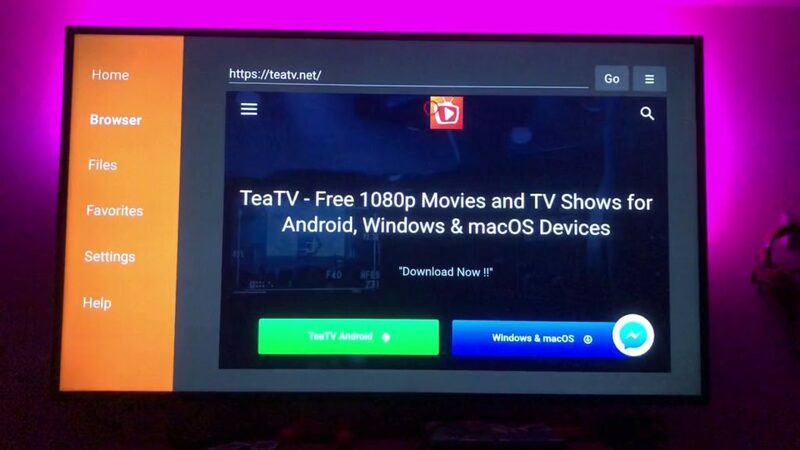 For such people who like to enjoy video content on larger screens, Tea Tv app is available for Firestick. Download the apk on the Firestick from the official website of the application. Alternatively, you can also transfer the application to the device by downloading it first on a computer. Turn on the ‘Unknown Sources’ option by going to the Settings and then visiting the Security section from the landing page of the Firestick. With the help of the file manager application, move to the location where the apk is stored. Click on the file to start the installation procedure. Click on ‘Install’ once the popup appears. Once the app has downloaded to Firestick, a popup will appear on the screen indicating the completion of installation. To download Tea Tv for Firestick, you need to download a third party app store on the Firestick. TeaTv app can be downloaded from any popular third party app store. Choice of large number of classic as well as latest titles from different parts of the world. A simple and well designed interface to make it easy for users to operate the app. Facility to download titles so as to access them later. How To Install & Use TeaTv For Firestick? After downloading the application from a third-party app store, the application can be installed on the Firestick. You can use the Firestick remote to switch between categories and movies. Center button on the remote can be used to select the item. Tea Tv for Firestick is helpful for those who want to watch movies and television series on a bigger screen. The app can downloaded easily from any third party app store and can be operated with the help of Firestick remote.